Coming into the 2014 season – just like the past couple of seasons – the Atlanta Braves and Washington Nationals were expected to compete for the N.L. East title. And, so far, that has been the case – Atlanta and Washington are closely linked in the standings, and will probably be battling for most of the summer to decide who comes out ahead. However, there is a surprise third entrant into that tight East race who stands poised to put a wrinkle in all of the predictions. The Miami Marlins are right there with the Nationals and Braves, despite losing their star pitcher Jose Fernandez to season-ending Tommy John surgery. With a pitching staff that has been solid, and a deep lineup that has been doing enough to win so far, the Marlins seem like a team that could stick around into September. While they are down one star player, it is the presence of another that gives reason for optimism in Miami. 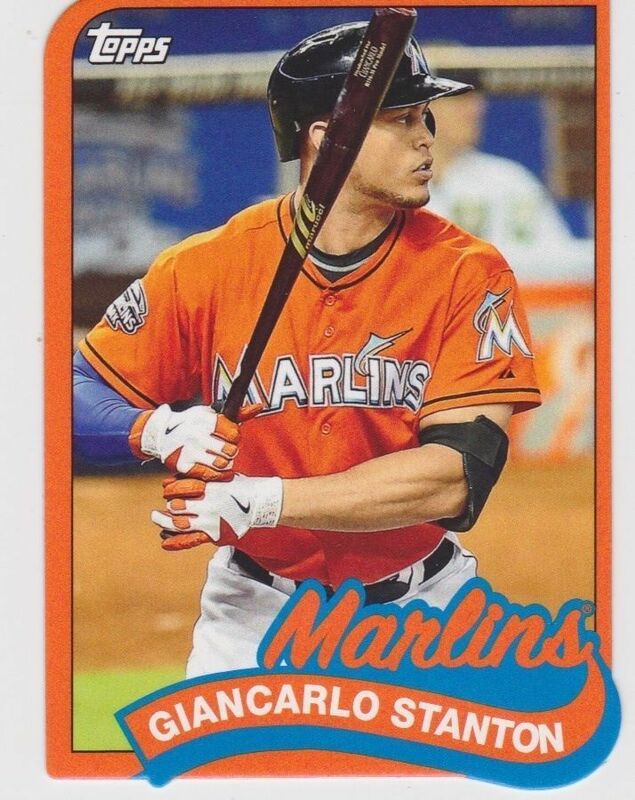 Giancarlo (formerly Mike) Stanton is a young star outfielder for the Miami Marlins, and one of the strongest hitters in all of baseball. Stanton’s homeruns are frequently highlight reel material, either for their overall distance or the sheer speed at which they leave the park. Currently, he leads the league with 20 homeruns and 57 RBI’s, and has an OPS of .979. Considering that he is just 24 years old this season, the future is bright for Giancarlo and the Marlins. As a testament to his power, Stanton owns three of the eleven longest homeruns hit so far in 2014, including the longest, measured at 484 feet. He has also registered the homerun with the fastest speed off the bat, with a ridiculous 119.9 MPH. It doesn’t matter which measurements you decide to use, Stanton has power that is unmatched in the game today. Beyond his impressive power, Stanton is a good overall hitter. He has struck out 77 times already this season, but still manages to carry a .394 on base percentage, which is among the league leaders. Not surprising, he also leads the league with 14 intential walks, as teams decide they would rather have other Marlins hitters try to beat them. It has worked out for Miami to this point, as they are a couple games over .500 and right in the middle of a crowded N.L. East race. Giancarlo Stanton is already a great player, and only seems poised to further establish himself as one of the best in the game. A Hall-of-Fame career is not out of the question for Stanton, which is why now is the time to grab some collectibles from his early years. 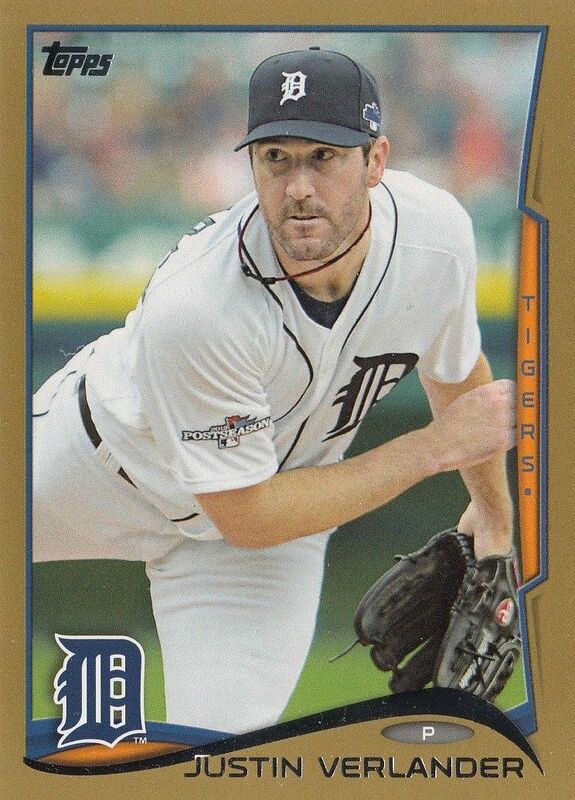 Most likely, his career will continue on an upward trajectory and the value of his baseball cards and other items will continue to grow along with his status in baseball. Find a few rookie cards to put into your collection and watch as his career develops over the coming seasons. If you look at the offensive statistics among A.L third baseman so far in the 2014 season, you will find some things that aren’t surprising at all. Sorted by OPS, Adrian Beltre and Josh Donaldson are 1-2 in the rankings. No surprise there at all – both are considered to be among the best in the game, and for good reason. Donaldson already has 17 homeruns on the season, while Beltre has been a perennial standout throughout his long career. In the third position, however, is a name that many would not have expected to find. 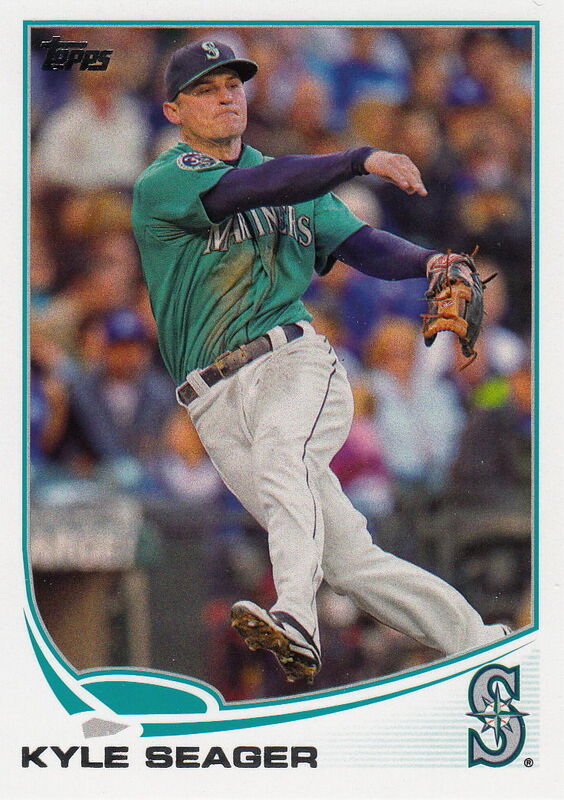 Kyle Seager, third baseman for the Seattle Mariners, has an .810 OPS for the season – easily good for third among qualified players in the A.L. Evan Longoria, star player for the Tampa Bay Rays, for example, is fifth at .732. In addition to hitting well for Seattle, Seager also plays excellent defense and takes the field almost every day. He certainly isn’t a superstar, but he is teaming with Robinson Cano to form a formidable punch in the middle of the usually meek Seattle offense. While Seager isn’t well known across the country, his performance shouldn’t be seen as that big of a surprise. He has hit 20 homeruns in both of the last two seasons, and has been improving his on base percentage year after year as well. Seager wasn’t as heralded out of college as other draft picks within the Mariners organization, but he has become possibly the best player they have developed from within since Felix Hernandez – and the best home-grown hitter since well before that. Kyle Seager isn’t due to be a free agent until the 2018 season, but he is arbitration eligible next year. For the Mariners, the time might be right to start talking about a contract extension that locks up Seager for the foreseeable future at a fair rate to both sides. As hard as it has been for the Mariners to develop hitting talent, getting Seager under contract at a controlled rate is something that is likely high on their priority list. With Cano in place for the next decade, locking up Seager could shore up half of the infield spots with quality hitting and defense. Outside of the Seattle-area, there likely aren’t many baseball collectors with Kyle Seager pieces in their collection. However, that could be due to change in short order, so you might want to get ahead of the curve and start picking up a couple items when you get the chance. It is not a stretch to see Seager as a future All-Star third baseman in the American League – especially after Adrian Beltre decides to hang it up. With the ability to hit for power in terms of both doubles and homeruns, and to drive in runs in the middle of the Seattle order, Seager could stack up the kinds of numbers over the next few years that finally get him the recognition he deserves. It’s no secret that Albert Pujols has seen a steady decline in his performance since moving west from St. Louis to Anaheim. The slugger is among the best right-handed hitters of all-time, however, his performance over the last couple of seasons has many wondering if the Angels made a huge mistake in committing as much payroll as they did to Pujols. His first year in L.A. was 2012, during which he put up good-but-not-great numbers. Last season, he struggled with injury and had the worst season of his career by far. Coming in to 2014, the thinking around the Angels was that Albert was fully recovered from his injuries and was ready to return to form. Through the first month of the season, that looked to be exactly the case. 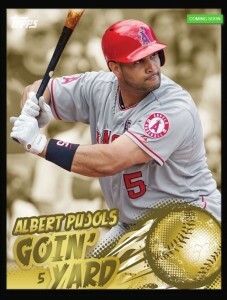 Pujols had a .927 OPS in April, with nine home runs and 23 RBI’s. The power was back, the production was back, and it looked like the Angels had the player they hoped to get when they signed him a couple years ago. Unfortunately for the Angels and their fans, that production has not lasted. In May, Pujols hit only .234 with a .732 OPS and just nine RBI’s. So far in June, his numbers have dipped even further, with just a .689 OPS to his credit in 14 games. For a lumbering first baseman who doesn’t offer anything in terms of speed or other contributions, the Angels need Pujols to hit if he is going to be a valuable contributor to their success. At least at the moment, that isn’t happening. Could They Have Seen This Coming? Every player, no matter how great, eventually declines due to age. It is inevitable, and only a matter of when, not if. Pujols is in his age-34 season, and has amassed over 2,000 games in his Major League career. For a big guy who relies on strength and power to get his numbers, this is something the Angels possibly should have been concerned with. Big players don’t often age well, with David Ortiz being something of an exception to the rule. Considering the fact that the Angels owe Pujols $30 million in the 2021 season, it is safe to say they are worried about his sudden decline in production and what it might mean for the rest of his contract. As with other players who begin to decline, all of this doesn’t mean that Albert Pujols is suddenly a bad player who doesn’t deserve a place in your baseball collection. He still is, and will remain, one of the best right-handed hitters of all time, no matter how the rest of his career plays out. The numbers he put up for the Cardinals will not be taken away, and Pujols is sure to be headed to Cooperstown when his career comes to an end. Of course, none of that makes the Angels feel much better at the moment. For Angels fans, a return to the hitter that Albert used to be is what they are counting on in order to challenge the A’s at the top of the American League West.